A warm body next to you on the sofa on movie night. A jogging buddy on cool, damp mornings. An adoring face to greet you after a hard day at work. A constant companion through good times and bad.Dogs give you what you need, and during Adopt-A-Dog Month® you can give a homeless dog what it needs: You. 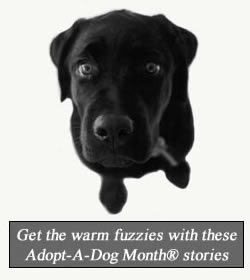 Go to your local shelter or to our online adoption center and find a lucky dog to bring into your loving home. Already have a dog? Consider adding another one to your family. Or donate to help other dogs get the loving care and homes they need so much. 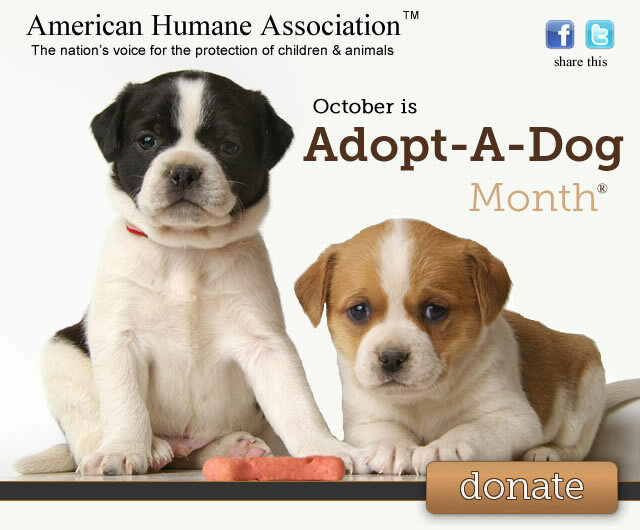 Adopt-A-Dog Month in October is brought to you by American Humane Association.